Twelve inspirational quotes in defiance of cancer! Blocks finish to 6" X 3". Hand printed on 100% Kona Cotton in black print on natural or white cotton. 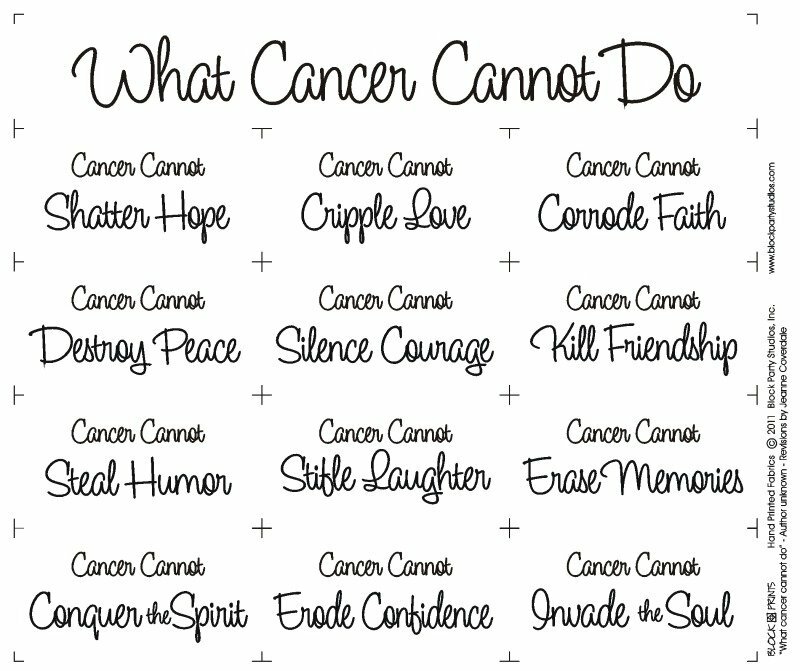 Free downloadable quilt pattern of "What Cancer Cannot Do" here! *Now available on pink fabric.